What Does Judaism Say about Theodicy? In loving memory of our grandparents and great grandparents. Michelle & Bradley together with Simone, Alison & Jonathan Mervish. The term “theodicy” comes from the Greek words for “God” and “justice” and literally means “justifying God.” In contemporary philosophy and theology, the term “theodicy” is used to describe attempts to “justify” God, as it were, in the face of the existence of evil and suffering in the world. This conundrum, usually referred to as “the problem of evil,” commonly takes the following form in the Western philosophical tradition: how can evil exist if God is omnipotent, omniscient, and perfectly good? The distinguished contemporary philosopher Eleonore Stump, has persuasively argued that it is preferable to refer to the problem of suffering rather than the problem of evil; after all, if bad things happened in the world, but people did not suffer as a result, it would bother us much less. Tisha Be-Av, as the prophet Zechariah assures us, will one day be transformed from the darkest moment in the Jewish calendar to a time of joy. In the meantime, we recall on Tisha Be-Av the destruction of the two Temples and other great tragedies in our history which have brought great suffering in their wake. How does our tradition understand suffering and reconcile its undoubted existence, pervasiveness, and (something that particularly bothered Chazal) its apparently unjust distribution (tzadik ve-ra lo, rasha ve-tov lo – the righteous suffer and the wicked prosper) with our belief in a wholly good, all-powerful, and all-knowing God? 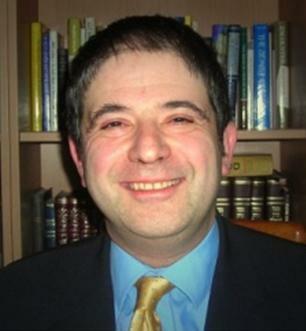 Rabbi Dr Michael Harris is Rabbi of The Hampstead Synagogue, London. He is a Research Fellow at The London School of Jewish Studies and an Affiliated Lecturer in the Faculty of Divinity, University of Cambridge. “I asked to see one of the barracks. It happened to be occupied by Czechoslovaks. When I entered, men crowded around, tried to lift me to their shoulders. They were too weak. Many of them could not get out of bed. I was told that this building had once stabled 80 horses. There were 1,200 men in it, five to a bunk. The stink was beyond all description. They called the doctor. We inspected his records. There were only names in the little black book, nothing more. Nothing about who these men were, what they had done, or hoped. Behind the names of those who had died, there was a cross. I counted them. They totalled 242. 242 out of 1,200, in one month. As we walked out into the courtyard, a man fell dead. Two others, they must have been over 60, were crawling toward the latrine. 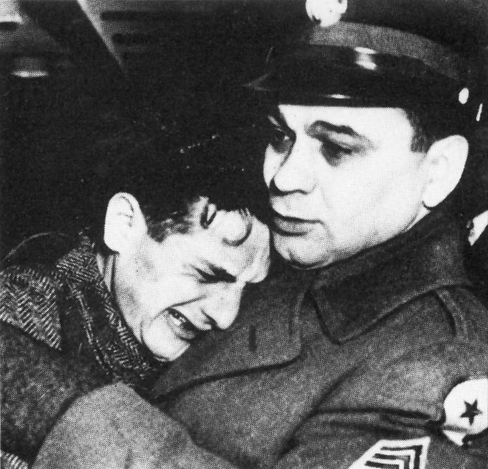 I saw it, but will not describe it.” —Extract from Edward R. Murrow‘s Buchenwald report. April 15, 1945.